Fans of House of Cards can now use Twitter without spoiler fear plaguing their social media fun, as Netflix has launched a Spoiler Foiler to block "danger" updates from their timelines. The on-demand US streaming service drops whole seasons of its shows at a time, upping the risk of viewers finding out what happens before watching themselves. All 13 episodes of political drama House of Cards, starring Kevin Spacey as Washington politician Frank Underwood, were released last Friday. The night before, US President Barack Obama tweeted a warning to his 41 million followers that proved just how big a deal spoiler fear is: "Tomorrow: @HouseofCards. No spoilers, please." "Behind on House of Cards?" an introduction on Netflix's special Spoiler Foiler website reads. "Now you can check your feed without fear. Any tweets with danger words are hidden from your timeline. When you've caught up, it's safe to go back to normal Twitter." 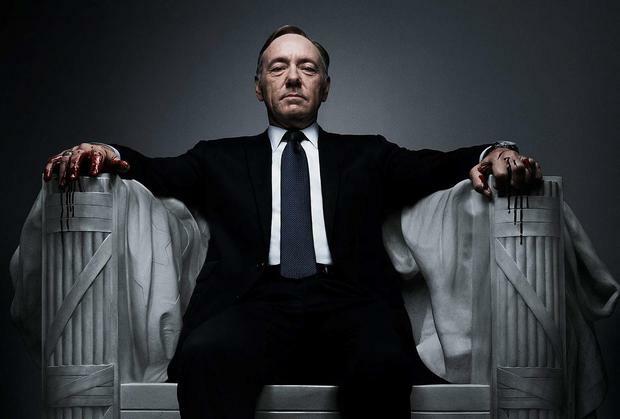 Before the Spoiler Foiler was released, fans aiming to avoid any mention of House of Cards were forced to scroll quickly past any online messages that looked like they might feature said "danger words". A risky business, but it’s time to breathe a sigh of relief. All fans need to do to beat the spoilers is log on to the Netflix site and view a special version of their Twitter timeline. All offending tweets - blacked out with a spoiler warning - can still be viewed at the click of a button, but only if you dare to reveal them. Netflix unveiled a similar Spoiler Foiler ahead of the Breaking Bad finale last year to eliminate any disastrous mentions of what happened in the dramatic closing episode.